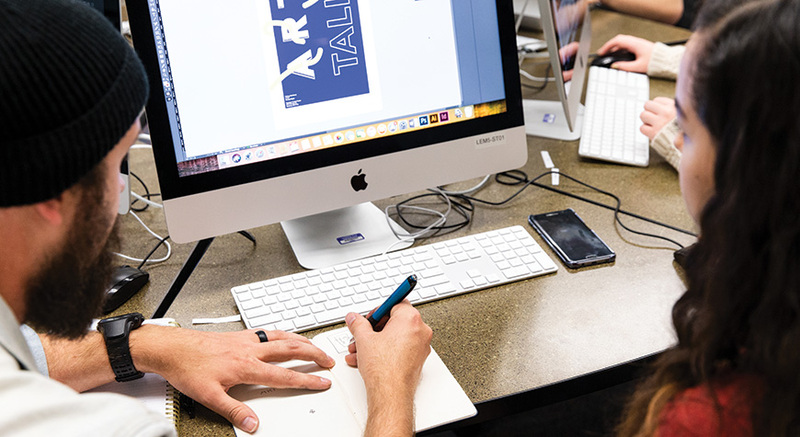 Students in George Fox’s graphic design major enjoy a curriculum that has been carefully designed to match marketplace demands. Job opportunities in visual design and web design are growing nationally at 13 percent and 38.7 percent, respectively. Our program has been built through careful study of the marketplace and is structured to offer students exposure to the methods and techniques that will be expected of them as they seek out professional opportunities. Guided by faculty mentors, you’ll gain the expertise needed to become a creative, visually astute designer, knowledgable of market-influenced and research-driven design practices. As a graduate, your real-world foundations will enable you to grow within a continually evolving, dynamic profession. 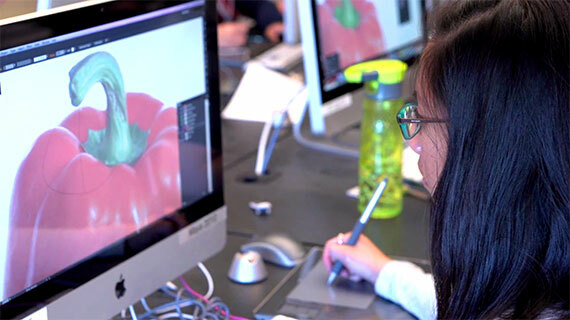 Every student in our graphic design school has the opportunity for a placed internship and the chance to work with live clients in a class context, supported by a multidisciplinary team that mimics a design studio environment. This distinctive element of our curriculum gives you the chance to experience what it’s like to be at work as a designer before you receive your diploma. Your spiritual and personal growth is also a high priority. Here, the call to be a designer is also an opportunity to minister to your community and workplace. Every professor embraces a Christian worldview – a special distinction even among many Christian colleges. Dedicated professors, small classes, a family-oriented community and peer engagement throughout the program ensure you will be known, encouraged and supported in your growth. 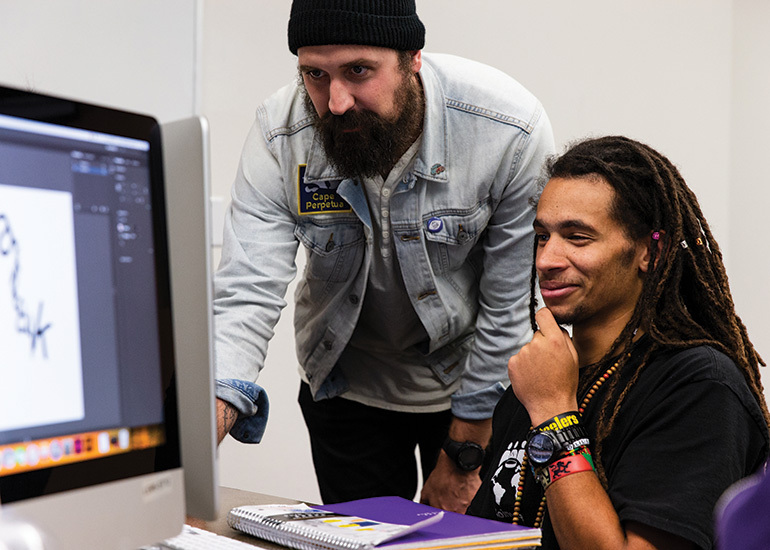 Request more information about the graphic design major at George Fox University or schedule a visit to begin your education at Oregon's Christian university, ranked as one of the top Christian colleges in the nation by Forbes. According to Burning Glass Technologies, all areas of visual design are growing at 13 percent, with a 38.7 percent growth rate expected in web design in the next 10 years. Students trained in multi-media design applications, UI/UX design, web design and print media are highly employable. In addition to hiring freelance designers, most organizations also employ a team of in-house designers, which continues to drive the job market upwards. George App: Conceive, develop and present an app to serve students at George Fox by replacing clunky existing web systems on campus.